Whether you are considering pursuing an academic or a non-academic career, the impact of your PhD research will be scrutinised by future employers. In academia, the societal and economic impact of research has gained importance and is systematically assessed by Research Councils and other funders. Establishing collaborations with non-academic stakeholders is also a critical skill when considering a non-academic career, particular as these collaborators may well be future employers. Knowing how to identify, deliver and report impact is valued by academic and non-academic employers and is an essential skill, especially for future early-career researchers. 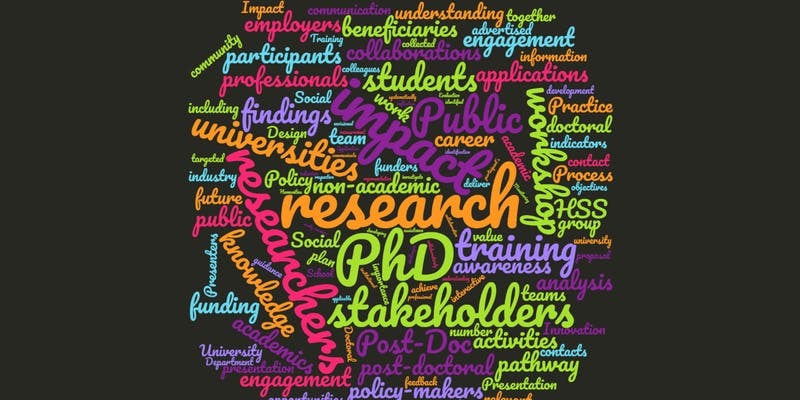 support PhD students in the initial development of their pathway to impact plans or provide feedback on impact-related outputs prepared by PhD students. This is great opportunity for PhD students working in a social sciences discipline to learn from and interact with impact professionals and academics from the GW4 network. Funding to attend is available for GW4 PhD students travelling to Bath as part of the GW4 Travel Bursary.